Mensusa https://www.mensusa.com/articles/mens-cashmere-coats-the-best-of-luxurious-coats.html Mens Cashmere Coats - The Best Of Luxurious Coats Men's cashmere coats are the owner's pride. Anyone who possesses a designer cashmere coat is never out of style and is the best outfit that keeps you warm and protected from chilly winters. 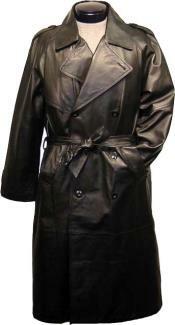 These coats are especially crafted and extra care is taken to offer maximum comfort and style. Mens cashmere coats are considered to the most luxurious attire that one can purchase. The coats are characterized by their softness, warmth and classic looks. The uniqueness of the men's Cashmere coats that make them so famous throughout the world is the unique quality wool. It is obtained from the goats reared in Kashmir and the undercoat is exclusively worked upon to make the coats. The details make these coats all the more unique and are sought after by all fashion conscious men. Although the fabric is quite expensive, you will never regret after you purchase the mens cashmere coats. Step into MensUSA to discover an amazing collection of coats spread out for trendy men. You will get all sizes and various cuts to suit all body types. Starting from the single-breasted coats to the double-breasted, slim-fits, knee-length to the long coats- each one is unique and outstanding. Most men keep various types of coats handy to beat the winter. However, if you own the Cashmere coat you can rest assured that you will surely be able to keep yourself warm and snug throughout the winters. The elegant and sophisticated look of these coats enhance the wearer's appearance at all events. Moreover the softness and warmth of the coats are incomparable. The variety of mens cashmere coats available at MensUSA are the best and you will be at a loss to choose the best one for you. So pick out the on re that fits you well for it is a fact that a well-fitted attire can only portray your personality and sense of style. The rest of the looks and status affair is done by the Cashmere coats as one can recognize these outstanding outfit from a long distance. Hence you need not have to worry much about other accessories. The uniqueness of the Cashmere coats is that they can be dressed up as well as dressed down according to the occasions. To wear a light and sophisticated look, team your Cashmere coat with light shades of casual clothing. The sporty air of the coat helps you to look different on every occasion. It depends how you pair it up with your suits or jeans, etc. to achieve that outstanding appearance. Mens cashmere coats are truly a luxurious outfit and you need to carry them with confidence for the coat itself will create that special style statement that all men wish to achieve especially on important occasions. Selecting the length of the coat rests on your choice and of course the weather. These exquisite mens cashmere coats are must-have outfit in a stylish man's wardrobe.